Vishing is short for voice phishing. This involves tricking someone into calling a phone number, listening to a recorded message, then being tricked into providing personal information to the phone service. Why would someone want to set this up? To collect your personal information, such as credit card number, its expiry date, your date of birth, PIN codes, etc. That information is then either sold on the black market or used by the scammers to steal or spend your money (this is also called identity theft). Setting up an automated phone system like the ones described here is fairly easy these days, and fairly cheap. Do people fall for it? Oddly enough, yes. Hopefully by now everyone’s getting the message not to trust strange web sites on the internet. But less obvious methods such as automated phone services are easily forgotten. Anti virus software can’t stop you making a phone call. And people can be more trusting of “old fashioned” technology such as phones. How does it work in practice? Here’s a summary of a recent vishing attempt. Emails are sent in bulk to as many people as possible. The email contains an important looking message. Note that it doesn’t have any links to click on, instead it gives a phone number. After the last annual calculations of your fiscal activity we have determined that you are eligible to receive a tax refund of $215. Tax refunds can be sent only to VISA or Mastercard DEBIT CARDS. The reader takes an interest because of the offer for free money (who wouldn’t!) and calls the number shown. Because the email already warned people they need a VISA or Mastercard card to receive payment they would be more willing to provide the card’s details. A good anti virus package will detect fraudulent emails such as the one above and filter them out, so invest in one if you haven’t already. In a company (small or large) invest in mail filtering. This is usually not included in corporate anti virus software. Think carefully why you received this email. Did you really lodge a tax submit a tax return recently, and in the country the email says it’s from? (e.g., if you live in USA and receive an email offering a tax refund from Australia, it’s most probably a scam). Does your country’s tax department even have your email address? If you didn’t give it to them then why are you receiving this email? Don’t blindly dial the number shown in the email. Look them up in your local phone book. This isn’t limited to tax refunds. Other vishing variations may appear to be from banks or other financial institutions. Another variation of this scam is to send people an SMS instead of an email, with a shorter version of the message above. Treat SMS’s like you would treat emails. Note: it’s also easy to forge SMS’s to appear to come from other people. Automated voice systems can also initiate phone calls with fake caller IDs. The technology’s easily available. 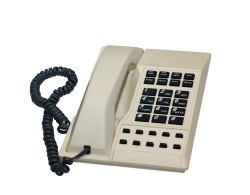 VoIP systems are even easier to set up. The potential to trick people into handing over personal details is just as easy using phones as it is using emails and web pages.